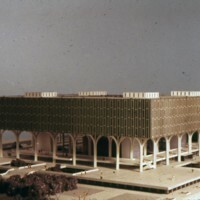 Architectural model in colour, Competition entry 279, City Hall and Square Competition, Toronto, 1958, by Perkins & Will of the United States. This entry was a finalist. 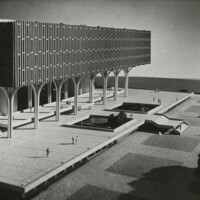 Architectural model, Competition entry 279, City Hall and Square Competition, Toronto, 1958, by Perkins & Will of the United States. 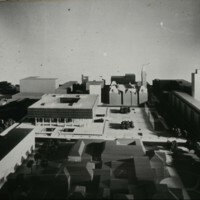 Model in situ showing surrounding Toronto buildings. This entry was a finalist. 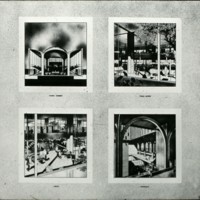 Architectural model, Competition entry 279, City Hall and Square Competition, Toronto, 1958, by Perkins & Will of the United States. This entry was a finalist. 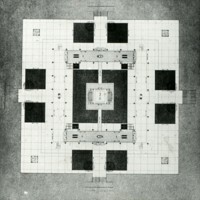 Architectural drawing, Competition entry 279, City Hall and Square Competition, Toronto, 1958, by Perkins & Will of the United States. Section drawing showing skyline behind. This entry was a finalist. 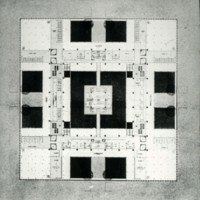 2 architectural drawings on 1 sheet, Competition entry 279, City Hall and Square Competition, Toronto, 1958, by Perkins & Will of the United States. Perspective drawings of concourse level. This entry was a finalist. 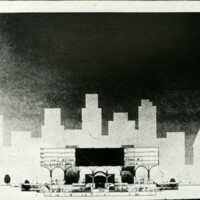 2 architectural drawings on 1 sheet, Competition entry 279, City Hall and Square Competition, Toronto, 1958, by Perkins & Will of the United States. 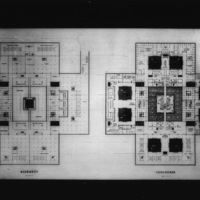 Floor plan of first and second floors showing government offices. This entry was a finalist. 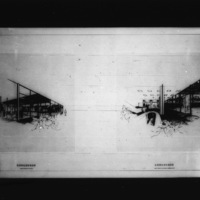 2 architectural drawings on 1 sheet, Competition entry 279, City Hall and Square Competition, Toronto, 1958, by Perkins & Will of the United States. 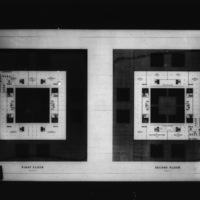 Floor plan of basement and concourse levels. This entry was a finalist.